The passport holders from following countries can visit and enter up to 90 days without visa. Albania, Andorra, Antigua & Barbuda, Argentina, Australia, Austria, Bahamas, Barbados, Belgium, Bosnia and Herzegovina, Brazil, Brunei, Bulgaria, Canada, Chile, Costa Rica, Croatia, Cyprus, Czech Republic, Denmark, El Salvador, Estonia, Finland, France, Germany, Greece, Guatemala, Honduras, Hong Kong, Hungary, Iceland, Ireland, Israel, Italy, Japan, Latvia, Liechtenstein, Lithuania, Luxembourg, Macao, Macedonia, Malaysia, Malta, Mauritius, Mexico, Monaco, Montenegro, New Zealand, Nicaragua, Norway, Panama, Paraguay, Poland, Portugal, Romania, San Marino, Serbia, Seychelles, Singapore, Slovakia, Slovenia, South Korea, Spain, St Kitts and Nevis, Sweden, Switzerland, Taiwan, UK, USA, Uruguay, Vatican City and Venezuela. 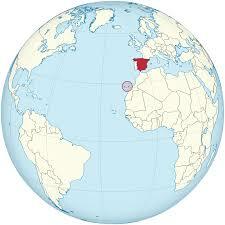 Foreigners who wish to work in Spain need to obtain a work permit before they leave their country. There are several different types of work permits for both employed and self-employed individuals that are valid anywhere from nine months to five years. Spain has a very high unemployment rate, so obtaining a work permit for this country is difficult if you’re not a European Union citizen. Further complicating matters is the fact that there’s no working holiday visa that would allow you to pick up a random job while touring the country. For further information please contact us. You can visit Spain for up to 90 days out of every 180 as a tourist. Depend on your purpose, If you wish to remain in Spain for more than 90 days out of every 180, you must obtain a residence visa from the Spanish embassy or consulate nearest you before you come to Spain. Retirees or others who have the financial means to support themselves without working can apply for residence in Spain for non-lucrative purposes. To qualify, you must show that you have the means to support yourself and any dependents without working. For 2015, the official monthly minimum income is €2,130 for an individual and €532.51 for each dependent. One you have bought a property that meets the investment criteria (more than €500,000 on the deeds), you need to apply for a one-year investor visa, which allows you to spend a year in Spain, and travel freely in the Schengen area for 90 days out of every 180 days. Your lawyer can get this for you. We can assist you to finding your favorite property and investor visa. Spain, a country on the Iberian peninsula of Europe, includes 17 autonomous regions with different cultures and geographical regions. The capital of Madrid is home to the Royal Palace and the Prado Museum, the works of European masters are kept. Segovia is a medieval castle (Alcazar) and an intact Roman aqueduct. The capital of Catalonia, Barcelona, is defined by the modernist moles of Antoni Gaudi as the Church of the Holy Family. You can participate in this festival to watch horse parade and prance with dance and music. Around i million visitor comes to Spain to participate in this festival. During this festival that take long for 1 week, you will enjoy from music, dance, bullfights and horse competitors.